Open enrollment is coming to an end for health insurance plans. The entire healthcare industry is witnessing some major changes and there are millions of people who are unsure about what’s to come. It’s important to stay in contact with your insurance company as much as you can so you can better understand your health care plans, what happened to open enrollment, and whether or not you should consider supplemental insurance plans. Though 10,000 Americans (ages 65 and up) enroll in Medicare health insurance plans for the first time every day, all that could soon change and there are still plenty of uncertainties within the health sector. “The government is spending less this year to promote the importance of having health insurance, so these companies have taken it upon themselves to make sure people get covered,” said Noah Lang, co-founder and chief executive of Stride Health. Beware of unconfirmed elections — One advantage of benefits administration systems is that they can provide electronic records of who made elections in the site, as well as where they were and when the elections were made. Additionally, they make it much easier for people to accomplish their enrollment, but be sure the process is complete until the very end to avoid unconfirmed elections. Child support enrollments — Be sure to receive qualified medical child support orders during the health insurance process, as well. Previous benefits issues — There are plenty of people who, for one reason or another, have problems related to their health benefits. It’s essential to keep track of everything that is covered under your plan and immediately contact your insurance provider if there are any issues with your benefits. Don’t take your health or your healthcare for granted. 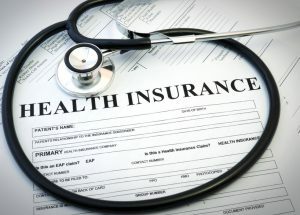 It you want to learn more about supplemental health insurance plans or all the changes making their way to the healthcare industry, contact Employee Benefits today.